This article explains the BACKTRACK error message “Resource file already in use” and details how to fix the underlying problem that caused it to appear. This occurs when occurs during the opening of a workstation client and BACKTRACK cannot open a critical file in the BT6 directory. This is often caused by a lack of permissions on the BT6 directory on the ‘server’ computer. 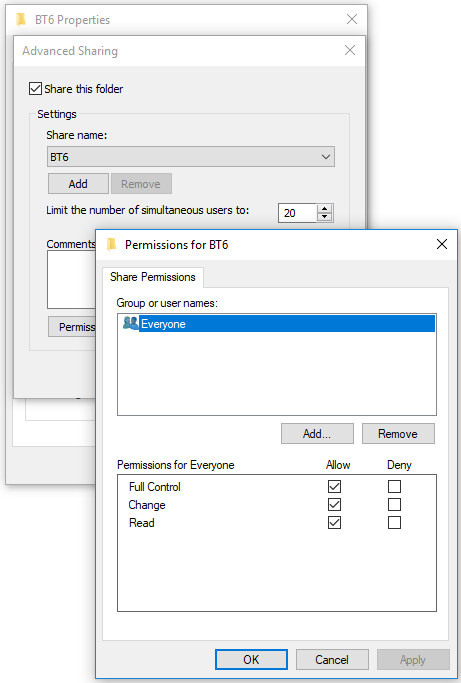 Verify the BT6 directory has all required files and the folder is shared to “Everyone”.